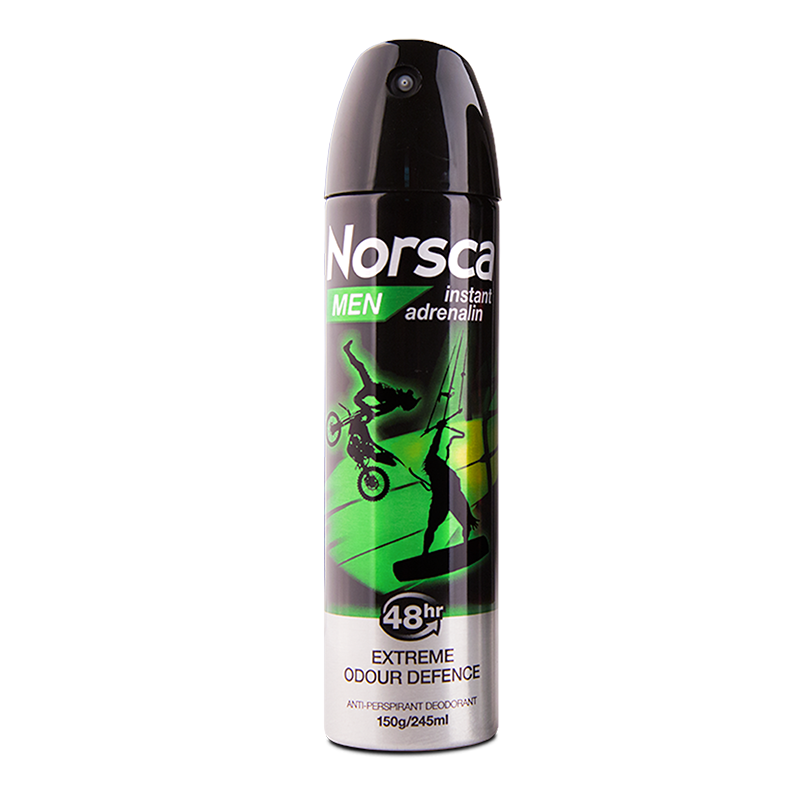 Norsca Men Instant Adrenalin: Powerful protection for men. 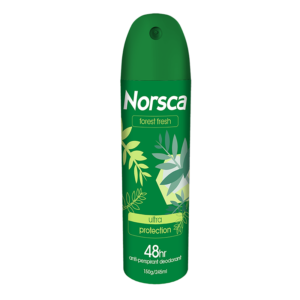 Specifically formulated to block and mask odour all day. Maximum freshness in one hit. 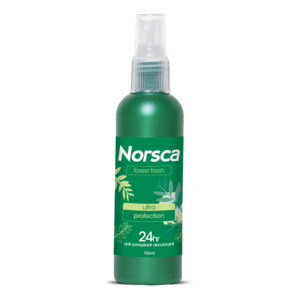 Whether it's taking it to the extreme in the outdoors or a high pressure deadline that makes your adrenalin pump, Norsca's new generation 'Actiguard' formula gives you lasting confidence by targeting odour-causing bacteria while blocking wetness and perspiration to keep you Norsca fresh. 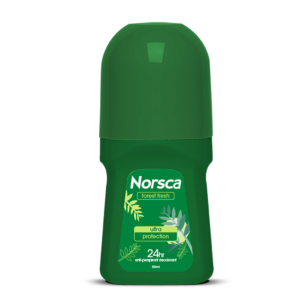 This energising scent will ensure you finish your day as fresh as you started. Norsca. The smell of adventure.